NEW YORK, NY – March 19, 2015 – CuisinArt Golf Resort & Spa, the award-winning Anguilla property and home of the island’s first and only golf course, announces the appointment of Scott Delong as Head Golf Professional. In his role, Delong will manage the 18-hole Greg Norman signature designed golf course which CuisinArt Golf Resort & Spa acquired in September 2011. DeLong joins CuisinArt Golf Resort & Spa after serving as Head Golf Professional at Deering Bay Yacht & Country Club, a private 18-hole member-owned club located in Coral Gables, FL. He is one of only 800 PGA professionals worldwide to be designated as a PGA Certified Professional. DeLong is also a Certified Instructor for Impact Zone Golf, a methodology of teaching that is based around five fundamentals of the golf swing. His commitment to customized instruction enables him to tailor each lesson to the individual’s needs and abilities, rather than teaching just one particular style or swing. Designed as a golfer’s paradise where sand, wind and water blend seamlessly with Anguilla’s natural environment, CuisinArt Golf Club offers a first-class Caribbean golf experience with spectacular views of St. Maarten and the Caribbean Sea. The 18 Hole, Par 72 Greg Norman signature design championship course offers stimulating play with superb elevation changes, spectacular water features, and challenging holes. In planning the course, significant environmental efforts were undertaken to preserve and enhance the island’s natural habitats. Most significant was the renewal of Merrywing Salt Pond, an island landmark – featured predominantly in the course -whereas the pond’s water has been reinvigorated, giving rebirth to its natural organisms. Rates starting at $4,125 for a Beachfront Junior Suite. Rates starting at $5,785 for a Beachfront Junior Suite. For more information, visit http://www.cuisinartresort.com. Stay updated on news and happenings at CuisinArt Golf Resort & Spa by following @VisitCuisinArt on Twitter and Instagram or visiting the new Facebook page – Facebook.com/CuisinArtGolfResortandSpa. Nestled in the crescent curve of Anguilla’s Rendezvous Bay, CuisinArt Golf Resort & Spa, a member of The Leading Hotels of the World, is an award-winning oasis of luxury. Inspired by the style of the Mediterranean, guests discover an enclave of 98 suites and villas, surrounded by lush gardens and a pristine beach. As Anguilla’s original resort spa, CuisinArt Golf Resort & Spa celebrates the art of well-being while enticing guests with exceptional culinary experiences and the ultimate in relaxation and rejuvenation. The resort features a state-of-the-art hydroponic farm, the award-winning Venus Spa and an 18-hole, championship golf course designed by the world renowned Greg Norman. ATLANTIC CITY, N.J. (March 2015) — Featuring more than a dozen of New Jersey’s highest ranked golf courses — including categories like “Top Public Courses,” “Favorite Golf Professional” and “Top Customer Service” — Atlantic City and the Jersey Shore are growing by leaps and bounds, and quickly becoming one of the East Coast’s premier golf destinations. The Ottinger Family of golf courses that include Atlantic City Country Club, Ballamor Golf Club and Scotland Run Golf Club are completing major construction and renovation projects. Atlantic City Country Club, the historic, 117 year old club and birthplace of the birdie, is renovating and restoring all greenside bunkers on Holes 4, 6, 8, 12, 15 and 17. A halfway house is being built and will open in time for the golf season. Equally significant clubhouse renovations include a complete makeover to the entryway and lobby, John J. McDermott Room, James “Sonny” Fraser Room, Leo Fraser Library, Grand Ballroom, two private dining rooms, restrooms and corridors. In addition, an all-new bridal suite overlooking the golf course with breathtaking views of the Atlantic City skyline will be completed and equipped with every imaginable amenity. An impressive new exterior façade will be designed providing the clubhouse with a much more stately entrance. Meanwhile, Scotland Run will also undergo bunker renovations. Both Atlantic City Country Club and Scotland Run Golf Club will remain open during these enhancements. At Blue Heron Pines, the popular Ron Jaworski Celebrity Golf Challenge is scheduled June 14-15. In preparation, more than 200 trees were taken down around the golf course to improve play and turf conditions around this Stephen Kay design. The news at Brigantine Golf Links is … well … the name “Brigantine Golf Links.” Formerly The Links at Brigantine Beach, along with a new name, the club is sporting a new fleet of YAMAHA golf cars, a new set of family golf tees and some new senior tees, as well as an enhanced Foot Golf course. Eagle Ridge Golf Club is the newest Atlantic City golf offering in 2015. Located only minutes off the Garden State Parkway near Toms River, Eagle Ridge features a stunning 27-hole championship golf course designed by Brian Ault. Opened in 1999, it is nestled within the lush natural pines of Northern Ocean County and feels more like playing in the Carolinas than Central Jersey. Renowned for its exceptional conditions, the course is just minutes from the Jersey Shore and centrally located an hour from New York City, Philadelphia and Atlantic City. Harbor Pines Golf Club remains one of the top conditioned courses in New Jersey and recently 15 bunker upgrades were completed in time for the 2015 golf season, including new drainage and premium white sand. Harbor Pines welcomed new Executive Chef Joe DiLuzio, who will appear in an upcoming episode of “Chopped” on the Food Network. In addition, the Golf Tournament Association of America has recently certified Debbie Stevenson in “Golf Tournament Planning.” She is the only certified tournament planner in South Jersey. Mays Landing Golf & Country Club will select a Sunday each month for a “Golf Appreciation Day” and charge only the twilight rate for tee times the entire day. Celebrating its 55th anniversary, Mays Landing hosts an “Ultimate Demo Day” to demo just about anything from golf clubs, balls and other golf-related items to others like vehicles, RVs, tractors and cell phones. McCullough’s Emerald Golf Links now offers online Golf Vacation Packages for the Atlantic City and South Jersey Region. Golfers can choose from hundreds of discounted combinations of accommodations and courses. McCullough’s recently completed an enclosed deck to accommodate up to 120 golfers — ideal for large outings and enjoying a post-round beverage overlooking the 18th hole. Onsite Library III, a decades-old landmark steakhouse, continues to serve up its well-known steak and king crab menu, salad bar, books, cooks and wait staff. Sea Oaks Country Club recently received a new fleet of 2015 golf carts that house on-cart coolers and a USB port for those golfers that just can’t be without their devices. Sea Oaks has also recently expanded its outdoor veranda patio area overlooking the 18th green. The Grill Room added five new TVs (totaling nine) so golfers can see any game from any area. In addition, Sea Oaks implemented the PGA Initiative “Tee It Forward” by adding a sixth teeing area – a green tee box between the gold tee and the most forward red tee box. Over the winter months at Stockton Seaview Hotel & Golf Club the resort performed a tee box and cosmetic renovation on its Pines Course. The renovations included stripping of all sod on the current tee boxes, re-shaping of tee boxes to maximize playable areas, laser leveling of new boxes and laying of new sod. Seaview also performed a complete cosmetic renovation as well, which included all new tee markers, tee signs, history wall, new flags, flagpoles and bunker rakes. A Sam Snead plaque was placed on the 16th hole to commemorate his 1942 PGA Championship victory. The event had nine holes played on the Bay and nine on the Pines. The 16th hole — then the 8th hole on the Pines Course and 17th for the Championship — was where Snead chipped in to defeat Jim Turnesa 2 & 1 and capture his first major championship. Greensboro, Ga. (March 18, 2015) – Placing four golf courses from its collection on the latest Golfweek magazine list of “Best Courses You Can Play,” Reynolds Plantation was the only golf community in the country recognized for that level of excellence in the prestigious state-by-state rankings. On the “Best You Can Play” Top 15 list for Georgia, Reynolds Plantation’s Oconee course is ranked No. 3, with the Great Waters Course No. 5, The Landing No. 8 and the Plantation Course No. 15. Together the Lake Oconee gems continue to enrich the reputation of Reynolds Plantation as a premier golf community and preferred golf destination. The Landing pioneered the golf industry on Lake Oconee when the Bob Cupp design opened in 1986 (originally as Port Armor Golf Club). The Plantation Course, also a Cupp design, was the first course at Reynolds Plantation, established in 1988. The Great Waters Course introduced the legendary Jack Nicklaus to Lake Oconee, debuting in 1992 and renovated by Nicklaus in 2010. The Oconee Course is an idyllic Georgia sanctuary, with designer Rees Jones providing a pure, undisturbed setting for an authentic golf experience since 2002. Besides Reynolds Plantation, the only other venue with as many as four golf courses on the prestigious Golfweek state-by-state “Best You Can Play” rankings is Bandon Dunes in Oregon, which is a golf resort only. Overall, six courses give Reynold Plantation 117 holes of golf draped across natural rolling hills and along the shoreline. Several recent golf course renovation projects – including the newly unveiled work on the Tom Fazio-designed National Course –are part of a multi-million dollar renovation that touched nearly every facet of the award-winning Reynolds Plantation residential golf community, as well as The Ritz-Carlton Lodge, Reynolds Plantation, a AAA Five Diamond resort. Beyond golf, Reynolds Plantation offers an array of recreation opportunities: 374 miles of shoreline along Lake Oconee, Georgia’s second-largest lake, is ideal for bass fishing, recreational boating and water skiing; four marinas with complete services; the Lake Club Wellness Center and Peter Burwash International Tennis Center present options for complete fitness activities; dining and casual atmospheres at The Landing Clubhouse, the Plantation Grille and Linger Longer Steakhouse in the Oconee Clubhouse. Vacation guests at Reynolds Plantation can choose from individual cottages within the private gates, while enjoying a variety of amenities. Accommodations also are available at The Ritz-Carlton Lodge on property. 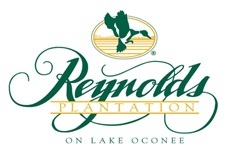 For more information about Reynolds Plantation, visit http://www.reynoldsplantation.com, or to book a reservation by phone, please call (877) 809-3324 between the hours of 8 am and 6 pm eastern time. LONG BEACH, Calif. – March 17, 2015 – Epson America, Inc. today announced that its M-Tracer™ golf swing analyzer for golfers of all levels is now available through Epson.com, the Leadbetter Golf Academy and golf specialty retailers with an MSRP of $299. M-Tracer is a lightweight, club-mounted golf swing analyzer designed to give golfers unprecedented insights into every element of their swing. The M-Tracer securely attaches to the golf club grip to capture the golf swing at 1,000 samples per second and sends data to an iOS or Android smartphone in real-time via Bluetooth®. Part of the new “Epson Active” product category, the M-Tracer is the latest in a line of sports and fitness devices from the company to help athletes improve their performance through precise data and easy-to-interpret feedback. With a built-in Inertial Measurement Unit derived from Epson’s industrial sensors, the M-Tracer tracks and records the swing path of the club, club-head speed, club-head path, face angle at the time of impact, tempo and more. The M-Tracer smartphone app shows the golfer’s full swing path in 3D and offers the ability to rotate the view and compare their swing against that of a pro-level golfer or their own previously recorded swings. The app also provides comprehensive graphical analysis of the impact zone, shaft rotation, club speed and swing tempo. It even has a built in freeze frame option for the critical “halfway back” and “at the top” positions. For more information or to purchase an M-Tracer, go to Epson.com/golf. Led by the Japan-based Seiko Epson Corporation, the Epson Group comprises more than 72,000 employees in 94 companies around the world, and is proud of its ongoing contributions to the global environment and the communities in which it operates. Epson America, Inc. based in Long Beach, Calif. is Epson’s regional headquarters for the U.S., Canada, and Latin America. To learn more about Epson, please visit: http://www.epson.com. You may also connect with Epson America on Facebook (http://www.facebook.com/Epson), Twitter (http://twitter.com/EpsonAmerica) and YouTube ( http://www.youtube.com/EpsonAmerica). (LONDONDERRY, NH) – Danish company ECCO – a leading manufacturer of innovative footwear – announces that a Fred Couples ‘Signature Edition 1992’ version of its acclaimed Casual Hybrid model will be available at select retailers worldwide beginning early April. Co-designed by Couples, the shoe commemorates his two-stroke victory at the 1992 Masters. Produced in a limited run of 1,992 pairs, it boasts an eye-catching white/green color combination and is laser-engraved with Couples’ distinctive autograph on the lateral (outer) side. Retailing for $200, the Fred Couples ‘Signature Edition 1992’ model combines a sleek sneaker look with a premium leather upper and advanced performance technologies. Highly water repellent via the proprietary ECCO HYDROMAX™ treatment, the shoe is built atop the patented E-DTS outsole. This boasts approximately 100 moulded traction bars that deliver nearly 800 traction angles to promote superb grip in a variety of conditions. Like all ECCO golf shoes, this new Casual Hybrid is crafted at company-owned factories using the Direct-injection Process. This bonds the upper and outsole unit, creating a one-piece shoe construction without the use of glue or stitching. Benefits include a firm, water-tight seal, lightweight flexibility and out-of-the-box comfort. The ECCO Golf collection is also endorsed by scores of other Tour stars worldwide, including Ernie Els, Graeme McDowell, Thomas Bjørn, Marcel Siem, Thongchai Jaidee, Will Wilcox, Na Yeon Choi, Caroline Masson, Jennifer Johnson, Sadena Parks, Kendall Dye, Line Vedel Hansen, Pernilla Lindberg, Therese Koelbaek, Sophie Giquel-Bettan, Liz Young, Sally Watson, Linda Wessberg, Emily Kristine Pedersen and Nanna Madsen, among others. More than 350 million pairs of ECCO® shoes have walked the earth since 1963, when Karl Toosbuy founded the company in Denmark. ECCO is one of the few major shoe manufacturers in the world to own and manage every step of the shoemaking process – from leather production through manufacturing in its own factories and all the way to its stores. ECCO’s Scandinavian design philosophy, “The shoe must follow the foot”, is guiding the company. ECCO creates high-comfort, functional, stylish shoes and timeless bags, accessories, small leather goods and shoe care products. Still family owned, ECCO is headquartered in Denmark and employs more than 19,500 people of 57 nationalities worldwide. ECCO products can be found in the 1,100 ECCO stores and 14,000 other sales locations in 85 countries. MOLINE, IL – The Boys & Girls Clubs of the Mississippi Valley (BGCMV) announced today that PGA Tour professionals Jordan Spieth and Brian Harman will again appear at its annual golf fundraiser, Tuesday, July 7, at Short Hills Country Club in East Moline, IL. Spieth was PGA Tour rookie of the year in 2013 and 2013 John Deere Classic (JDC) champion. Harman was the 2014 JDC champion – marking the second year in a row that the eventual JDC champion started the week by appearing at the BGCMV golf event. Now in its 14th year, the Invitational has helped raise more than $1.5 million since 2002. This year’s fundraising goal is $300,000, with all proceeds benefiting the BGCMV. Title sponsors for the 2015 Invitational include US Bank and Group O. For more information or to register for the event, please visit http://www.BGCMVgolf.com. For more information, please visit http://www.BGCMV.org. ORLANDO, FL. (March 17, 2015) – Bay Hill Club & Lodge, one of the top golf resort destinations in America, is planning a comprehensive re-grassing project on the putting surfaces of its Championship Course following this week’s Arnold Palmer Invitational Presented by MasterCard. Acknowledging that a 2009 upgrade of the greens did not meet an anticipated level of excellence, club officials announced their intentions to install TifEagle Bermuda grass, a project that is consistent with several other upgrades that have occurred at the club in the last year. The decision was made after the club found that portions of some greens on the Championship Course were not 100 percent healthy after a harsh winter. However, tournament officials of the Arnold Palmer Invitational Presented by MasterCard anticipate that though some areas are aesthetically weak, the greens will be in tournament shape and will not have an adverse effect on playability or scoring. The re-grassing process to be undertaken is called the “no-till method,” which will ensure that all of the topographical features and contours will be preserved. The project will commence in May and should be completed by early August. Chris Flynn, the Director of Grounds for Bay Hill Club’s 27 holes, will be working closely this week with Bland Cooper, Competitions Agronomist for the PGA TOUR, to ensure that the greens remain in the best possible condition during the 37th edition of the prestigious invitational tournament hosted by Arnold Palmer. An upgrade of the greens is just the latest improvement to the Palmer-designed Championship Course. In the months leading up to this year’s tournament, Flynn has overseen a number of upgrades that dramatically improve the overall golf experience for both daily play and for competitors in this week’s invitational. Those measures include the infusion of new “G-Angle” bunker sand that is approved by the PGA TOUR spread over Bay Hill’s 84 bunkers. The G-Angle sand is a more angular sand that holds up the ball better and makes it more difficult for balls to bury in the bunkers. Additionally, five more acres of fairway are available after Flynn expanded the fairways to reflect the original course design intent. The approach areas and bailout areas around the greens also were expanded. Finally, an aggressive tree-trimming program has improved the visual presentation of the course as well as restored shot values. Located just minutes from downtown Orlando and area attractions, Arnold Palmer’s Bay Hill Club & Lodge is the site of the annual Arnold Palmer Invitational Presented by MasterCard golf tournament. The 70-room property features 27-holes of golf, the Arnold Palmer Golf Academy, tennis on four Har-tru and two DecoTurf courts, a full service spa and salon, fitness center, a heated Jr. Olympic-size pool, three dining locations, 3 lounges, and 9,000 square feet of meeting and banquet space. For reservations call (888) 422-9445 or (407) 876-2429. The Arthur Hills and Robert Trent Jones Courses at Palmetto Dunes Oceanfront Resort on Hilton Head Island named among the state’s most popular public-access golf courses. The Hills Course was joined by the Robert Trent Jones Course at Palmetto Dunes Ocreanfront Resort among the 30 selected for the 2015 “Best You Can Play” list by the South Carolina Golf Rating Panel. The list was comprised of the panel’s choices for best open to public play in each of the state’s four regions and was announced at the organization’s March 14 spring meeting at Pawleys Plantation Golf & Country Club. The Hills Course at Palmetto Dunes Oceanfront Resort, where collegiate stars like Tiger Woods and Phil Mickelson honed their talents, takes full advantage of the natural beauty of this South Carolina sea island. A careful blend of beauty and challenge with stands of palmetto trees lining its graceful fairways, the Hills Course was named the 2009 Course of the Year by the South Carolina Golf Course Owners Association. The Robert Trent Jones Oceanfront Course is consistently rated among the best courses in the Southeast. The Jones Course’s signature hole, the dramatic par-5 10th, is one of only two oceanfront holes on Hilton Head Island. The South Carolina Board of Directors of the National Golf Course Owners Association named the Robert Trent Jones Oceanfront Course the 2003 South Carolina Golf Course of the Year – a feat also achieved by Palmetto Dunes’ George Fazio Course in 2014. The South Carolina Golf Panel is composed of 125 golf enthusiasts that represent a diverse range of occupations, handicaps, and backgrounds. The group’s objective is to promote excellence in the state’s golf course design and operation through competitive ranking, education and public advocacy. The “Best 50” courses, public or private, are chosen in even-numbered years and the “Best You Can Play” are announced in odd-numbered years. Criteria used in judging include routing, variety, strategy, equity, memorability, aesthetics and the golfer’s experience. Twenty-five of the 30 courses honored are located in the tourist meccas along the Atlantic Ocean. Twelve are on the Grand Strand between Little River at the North Carolina state line and Pawleys Island, and 13 in the Lowcountry area that includes Charleston and Hilton Head Island. Information on previous rankings can be found on the organization’s website http://www.scgolfpanel.org. For more information about Palmetto Dunes Oceanfront Resort and its many golf packages, call 877-567-6513 or visit http://www.PalmettoDunes.com. Palmetto Dunes Oceanfront Resort is a 2,000-acre resort destination located in the middle of Hilton Head Island, S.C., bounded by 3 miles of Atlantic Ocean beach on one side and a sheltered Intracoastal Waterway marina on the other. The resort features three world-class golf courses, an award-winning tennis center, an 11-mile inland salt-water lagoon system for kayaking and fishing, and Hilton Head Outfitters for bike rentals, canoes, kayaks, fishing and much more. The Mediterranean-style Shelter Cove Harbour deep-water marina, located right across from Palmetto Dunes, features waterfront shopping and dining and a wide variety of charters, including nature cruises, dolphin tours, sport crabbing and fishing. For information about activities or reservations, please call 877-567-6513 or visit http://www.PalmettoDunes.com. Based in Greenwood, S.C., Greenwood Communities & Resorts has been a leader in the creation and management of award-winning residential and resort communities in the southeastern United States since 1978. Beginning with the award-winning Palmetto Dunes Oceanfront Resort on Hilton Head Island, S.C., and now including communities like The Reserve at Lake Keowee, Big Canoe near Atlanta and The Ponds in Charleston, Greenwood’s mission has always been to create memorable places that foster meaningful and fulfilling lives. For more information, please call 843-785-1106 or visit http://www.GreenwoodCR.com. The River Course, Williamsburg, Va. – March 14 2015 – Golf is a war that the golf course usually wins. So why not play on a real battlefield? While there are many golf courses in the United States, few are on former battlefields and sacred ground. At Kingsmill Resort, the only AAA Four Diamond condominium resort in historic Williamsburg, Va., golfers literally walk in the footsteps of the Jamestown settlers and soldiers of the American Revolution and Civil War. The grounds are also home to the 11th staging of the LPGA Kingsmill Championship held May 11–17, with players challenging Kingsmill’s River Golf Course for a $1.3 million purse. 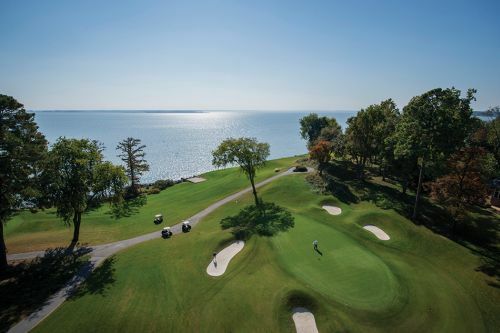 The Unlimited Golf Package offers the best of Kingsmill’s golf experience starting at $448 per person based on double occupancy for two nights and includes unlimited rounds of golf on the River and Plantation courses, breakfast, use of a golf cart, complimentary transportation to local attractions, accommodations and full resort access. Are you a golfer in need of a quick getaway? This is your best bet. Drop off your luggage and the golf cart will be waiting for you. With the Signature Golf Package for one night at $189 per person based on double occupancy, golfers are treated to a breakfast buffet and 18 holes of golf on the River or Plantation courses. If you are bringing an army of four, sign up for the Foursomes Golf Package. Accommodations in a three-bedroom condo for two nights, limitless rounds of golf – with cart – on the River and Plantation courses, and complimentary use of the driving range, fitness center and pools are included for a starting rate of $575 per person. All golf packages are available March 1–Nov. 30. Kingsmill Resort’s one- to three-bedroom condominiums, with kitchens and spacious living areas, are ideal for golfers who want to rise early and enjoy a round all day. Golfers who need R&R after a day on the course may opt to take advantage of Kingsmill’s riverfront location and amenities: a brand new fitness center and spa, four on-site restaurants, tennis courts, fishing, indoor/outdoor pools and a full-service marina. For more information, visit http://www.kingsmill.com for specific details or call (800) 832-5665. Kingsmill Resort is an AAA Four Diamond condo resort and member of Preferred Hotels & Resorts Worldwide. Located on the James River off I‐64 between Richmond and Norfolk, the property is within minutes from Williamsburg’s numerous destinations including Busch Gardens, Colonial Williamsburg, The College of William & Mary, Jamestown Settlement and Yorktown Victory Center. DALLAS (March 10, 2015) – Omni Hotels & Resorts today announced its sponsorship of PGA TOUR player, Matt Jones. The Australian golfer was winner of the 2014 Shell Houston Open. If their first tournament together is any indication, Omni and the veteran Australian golf star are going to really enjoy their new relationship. Jones made his debut as an Omni-sponsored player at the AT&T Pebble Beach National Pro-Am on February 12. He sported his Omni-branded polo and golf bag as he tied for seventh place, his best finish of the season. Jones shot rounds of 65-66-67 to put himself in the final group of the nationally televised closing round. He followed up his Pebble Beach performance in Los Angeles the following week, finishing in a tie for 14th place at the Northern Trust Open. Jones’ partnership with Omni Hotels & Resorts extends through the 2015 season, during which he will be featured in special events and contests. As part of this partnership, Jones will stay at several Omni properties throughout the tour schedule including Omni Orlando Resort at ChampionsGate during the Arnold Palmer Invitational, March 19-22. Located in some of the country’s most beautiful destinations, Omni Hotels & Resorts golf courses are designed by award-winning golf architects, some of who are legendary champions of the game. Each golf resort is complete with luxurious accommodations and superior service, on and off the course. Omni golf destinations offer challenges for golfers at all levels of play, so pros, amateurs and their families alike can find courses to enjoy, creating distinct golf vacations in prime locations on legendary fairways and greens. Omni Tucson National Resort hosted more than 30 events between 1965 and 2006, featuring one of the TOUR’s most challenging finishing holes. The historic Donald Ross course at The Omni Grove Park Inn was not only a tour stop from 1933 through 1951 but also where the PGA of America was born. Omni La Costa Resort & Spa’s history with both the PGA and LPGA Tours dates back to 1965. Omni Barton Creek Resort & Spa hosted the Champions Tour Legends of Golf from 1990-1994. The Champions Tour Father-Son Challenge was played at Omni Orlando Resort at ChampionsGate from 2003-2008. The Omni Homestead Resort has hosted the U.S Women’s Open, U.S. Amateur and U.S. Women’s Amateur Championships, Curtis Cup and NCAA men’s championships, as well as PGA TOUR Champions Tour events. The Bedford Springs Open, a precursor to modern tour events, was held at Omni Bedford Springs Resort in the 1930s. Jones, who turns 35 in April, is from Sydney, Australia. As a junior champion he competed at Arizona State University, where he was a first-team All-America selection. He turned pro in 2001 and has won close to $8 million on the PGA TOUR. He and his wife, Melissa, a former Miss Idaho, have two young daughters. Located in some of the country’s most beautiful destinations, Omni Hotels & Resorts golf courses are designed by award-winning golf architects, including legendary champions of the game. Each destination offers challenges for golfers at all levels of play, so pros, amateurs and their families alike can find courses to enjoy, creating distinct golf vacations in prime locations on legendary fairways and greens. Each of the 11 golf resorts (360 total holes) is complete with luxurious accommodations and superior service, on and off the course. For additional information or book tee times, visit http://www.omnihotels.com/destinations/golf.